ー PET Dedicated injection screw and barrel for better efficiency and stability. 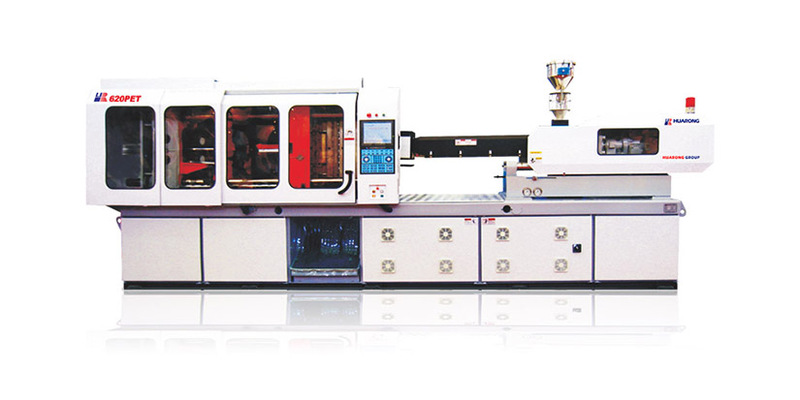 PET bottle preform molding system, precise accuracy, speedy production. 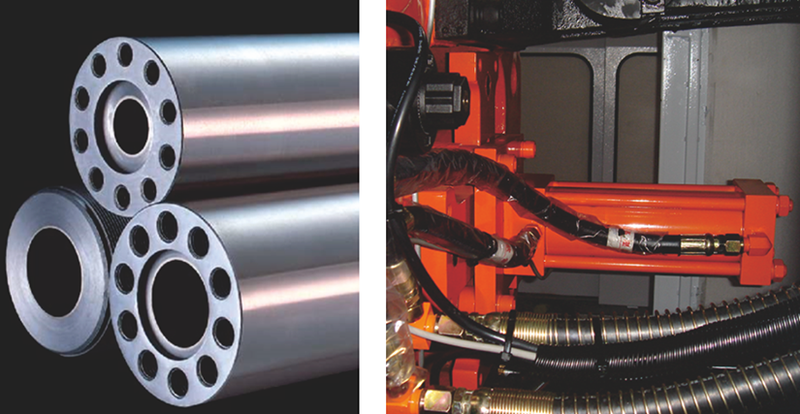 Dedicated injection screw and barrel. 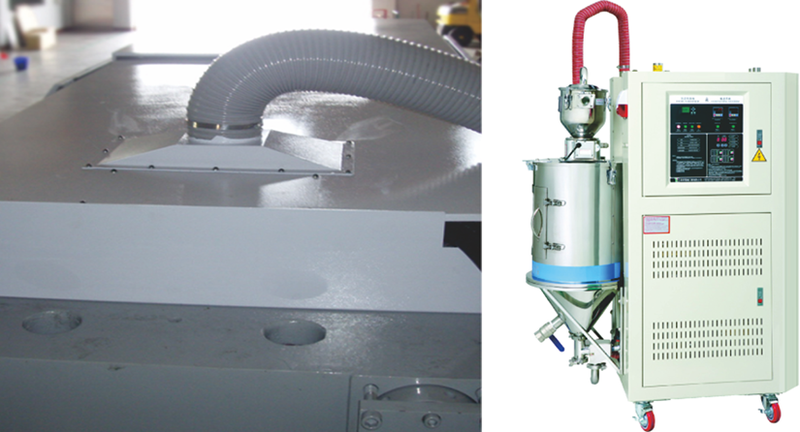 Low shear, high melt, and double-wave for superior plasticization. Enlarged driving lifted ejection efficiency. Ventilation channel on machine top. To pair with dehumidifying dryer for anti-dew on tools. 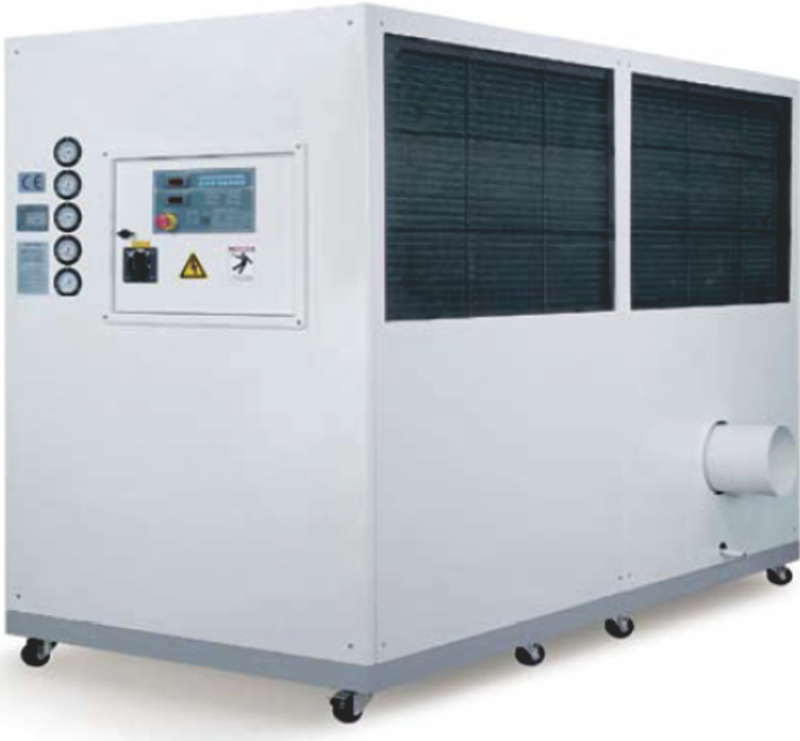 Effective dehumidifying with raw material. 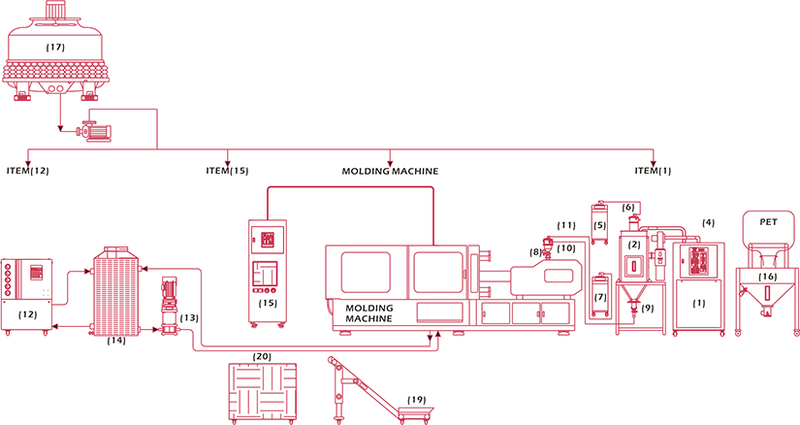 Effective cooling circulation for molding cycle.